Knysna, probably from a Khoikhoi word meaning “ferns” is a town with about 51,078 inhabitants in the Western Cape Province of South Africa and is part of the Garden Route. 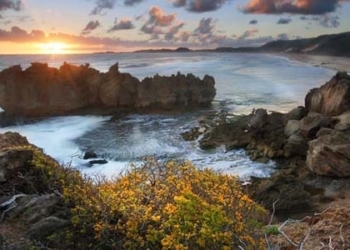 It lies 34 degrees south of the equator, and is 72 kilometres east from the town of George on the N2 highway, and 25 kilometres west of Plettenberg Bay on the same road. Nevertheless, the first Europeans arrived in the area in 1760, and the farm Melkhoutkraal (literally translating from Afrikaans as ‘milk wood kraal’) was established on the eastern shore of the Knysna Lagoon. Stephanus Terblans, the first European farmer to settle in the area, was given a loan permit to farm here in 1770. 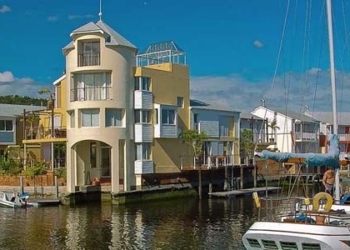 The town is primarily built on the northern shore of a large warm-water estuary, known as the Knysna Lagoon, which is fed by the Knysna River. The estuary opens to the ocean after passing between two large headlands. These are popularly known as “The Heads”, and have become infamous due to the loss of boats and fishermen passing through their treacherous and unpredictable waters. Near them are geological formations, known locally as “The Map Stones.” To the north of Knysna, Afro-Montane or temperate rainforest covers the hilly terrain for 20 km until changing to fynbos or macchia high up in the Outeniqua Mountains. Knysna has an oceanic climate (Cfb in the Köppen climate classification). Summers are hot and winters mild to chilly. 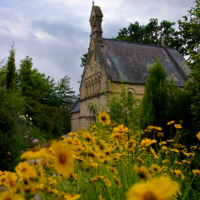 During the summer, the average maximum temperature reaches about 25 °C (77 °F) and rarely goes above 30 °C (86 °F). The average maximum temperature during the winter months ranges in the area of 16 °C (61 °F) to 17 °C (63 °F). Knysna has one of the richest rainfall percentages in South Africa with the wettest time of year being between October and December. 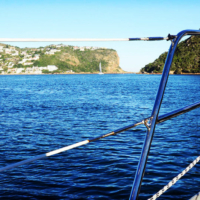 Knysna stays green in all seasons, and its temperate climate makes it a tourist destination all year round. The town is a popular destination for both tourists and senior citizens entering retirement, especially among the British and former expatriates due to the year-round warm climate. 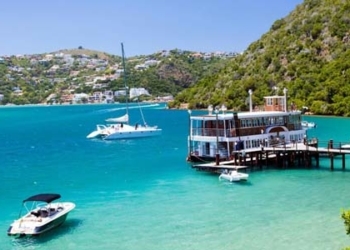 Recently, the town has also become a preferred destination among golfers, as the town boasts several world class golf courses including Pezula Golf Course, Simola Golf Course and the well established Knysna Golf Course situated on the lagoon. 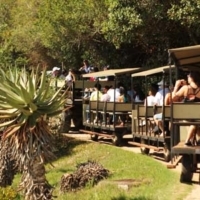 It is situated near the towns of Plettenberg Bay and George, where there are airports. Knysna is also home to Mitchell’s Brewery.  Knysna hosts a variety of events annually, which draw local and international visitors alike. 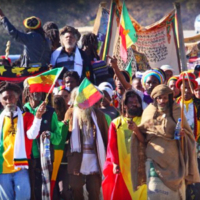 Such events include the Pick n Pay Knysna Oyster Festival in late June and/or early July; the Pink Loerie Mardi Gras at the end of April and/or beginning of May; the Gastronomica lifestyle festival in September, which promotes healthy eating and organic principles; and the Rastafarian Earth Festival held at the end of July, celebrating Rastafarian religion, culture and lifestyle. 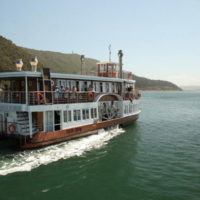 The Pick n Pay Knysna Oyster Festival, held annually in late June/early July, is the town’s biggest event. The duration of the festival is ten days, first held in 1983. Oysters, the festival’s namesake, are a large component, and approximately 200 000 are consumed over the 10-day period. Many sporting activities take place too, such as rugby, golf, bowls, squash, cycling and marathons. The Knysna Forest Marathon and Half Marathon, as well as the Rotary Cycle Tour draw many a sporting enthusiast to the town.